What’s great about the Nike+ SportWatch GPS is that it’s decently priced, it has a great look to it, and it comes with access to amazing software that can help you get accomplish your fitness and running goals. What’s not so great about it is that it doesn’t have a lot of advanced features and the GPS connection times can be quite slow. 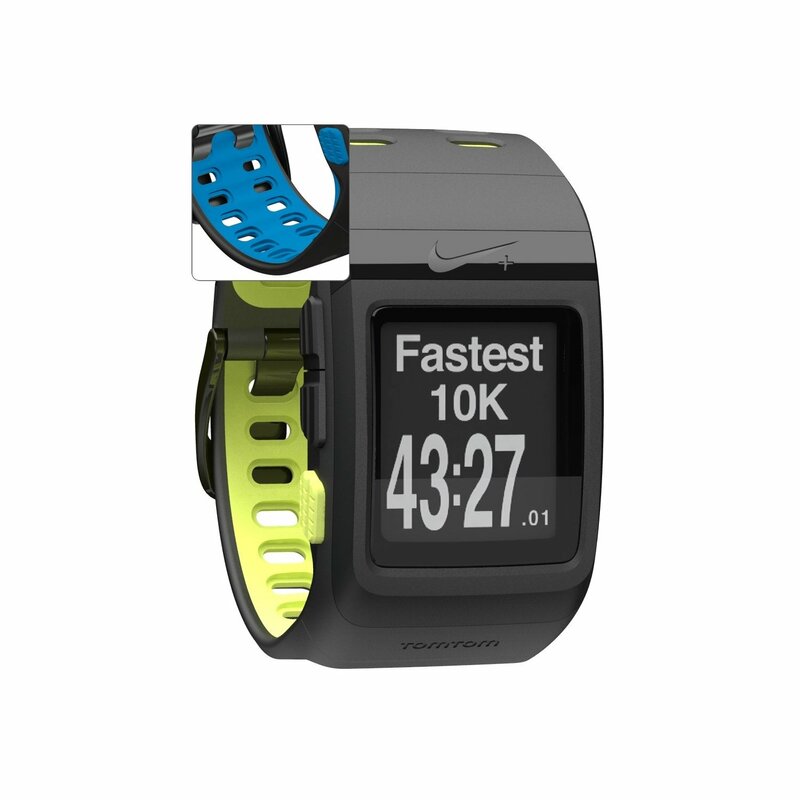 The fist Nike+ product was a simple chip which fit into the sole of your shoe and tracked your mileage, but Nike has made some huge improvements to this line with products like the Nike+ SportBand, the Nike+ FuelBand, and the Nike+ GPS Running App. 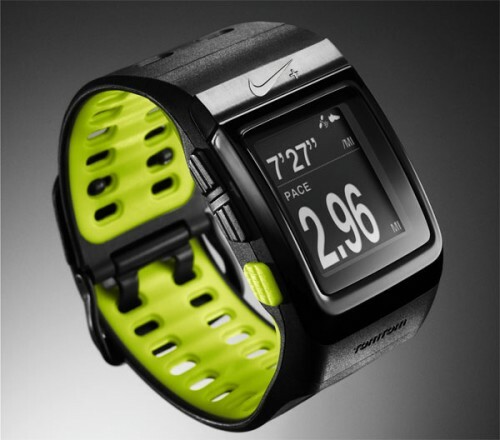 The Nike+ SportWatch GPS is just another one of the great sport products available from Nike+. 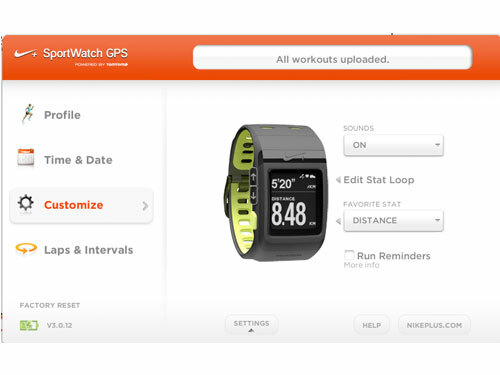 The SportWatch has a new great features for runners to improve themselves. The GPS technology is powered by TomTom who is well-known for their GPS devices, and it is used for tracking your run, which includes mapping it for you, and keeping track of your distance, time, steps, pace, and calories. Additionally, it can track your heart rate if you use the not-included Polar Wearlink+ Hear Rate Transmitter. The look of the Nike+ SportWatch is a bit bigger than the average sport watch, but smaller than the GPS watches of yesterday. However, the large display and wide wristband may take some getting used to, particularly if you are not used to using a heavy sports watch. Style-wise, it’s a pretty sleek-looking watch that comes in a number of color combinations. Although it might be a bit too bulky to wear every day, you can rest assured that you’ll get a few compliments on your way to and from your runs. You never know what you’re going to run in, particularly if you are training for a spring marathon in any northern state, so it’s good to know that the SportWatch is durable and water resistant. 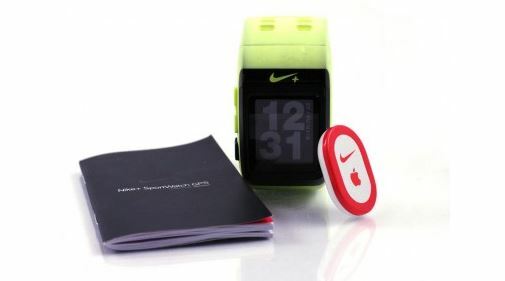 Unlike many sports watches which you can use to upload data to your computer through a dock with a cord and such to mess with, the Nike+ SportWatch plugs right into your computer’s USB port. Although it does include a USB cord if you want to use it, it’s nice to know that if you travel with your watch, you don’t have to remember it because the watch itself plugs directly into your computer. The button setup is about as easy as it gets. There are only three buttons to worry about: a yellow select and everything else button, and two black buttons for scrolling through the menus. The menus you can select are clock, run, history, records, and stopwatch. There is an alarm option built into the clock menu. The run menu sets you up to run by connecting to GPS satellites, the Shoe Pod, and/or the heart rate monitor, depending on what extra accessories you want to use. History allows you to view all of your previous run information while the records menu will show you your personal best time at a number of distances. And you will find a stopwatch under the stopwatch menu if you need it. Within the run menu, you can set up your watch for recording your run. One of the options you have is to set it to split laps at specific time or distance intervals. 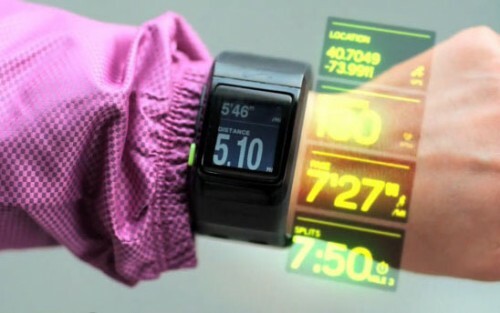 You can also have the watch mark a lap during your run by simply tapping the screen. The only downfall to this is that you have to set up your lap intervals while the watch is plugged into a computer. One of the biggest disappointments of the Nike+ SportWatch GPS is that is does take a long time to link up to satellites. The best way to solve this problem is by keeping the watch updated by plugging it into your computer and checking for updates before you run. However, once the watch is connected to the satellites, there are rarely any performance problems after that. As you are running, Nike makes it easy for you to scroll through to see other parameters. Distance and pace are the default parameters shown on the display while you are running, but you can scroll through to see some of the other things like average speed or pace, total elapsed time, and your calorie count. For running outdoors and tracking with GPS, you only really need the watch, and can leave the Shoe Pod at home. However, if you spend a lot of time on the treadmill, the GPS won’t help you there, so you can use the Shoe Pad in that case to track your distance and pace. Battery life can be a concern for some runners, particularly those who like to go on long runs, and battery life will not be an issue for most runners. 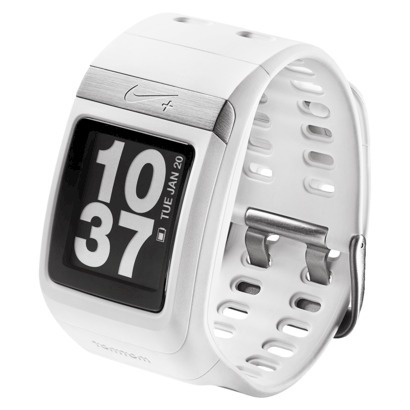 The Nike+ SportWatch GPS has a battery life up to 8 hours while in GPS mode. That means you don’t have to worry about charging it before every single run. One of the best things about the Nike+ SportWatch GPS is the Nike+ online software that you get access to with this watch. There, you can easily see all of your workout history once you upload it, and it’s super easy to set up goals for yourself so you can accomplish them. Plugging the watch into your computer’s USB port automatically uploads and updates your information on the Website while the GPS software on the watch is updated for better satellite connections. The advantage to having access to the online software is that it not only allows you to set up goals, but it gives you the necessary tools to reach them. If you make it a goal to run more often, your watch will begin to alert you if you don’t go running for a couple of days. You can also use the social features to share your workouts with friends and family on Facebook and Twitter and to connect with other runners who can help you with your training goals. You can also use the online software to adjust settings on your watch, including your weight, height, age, and gender which will give you a more accurate calorie count during your runs. Some of the other settings you can adjust this way are what the display shows most during your runs as well as what type and length of lap intervals you want, whether you choose to mark laps by distance or time. This entry was posted in Garmin GPS Running Watch and tagged NIKE+ SPORTWATCH GPS. Q&A: Who makes a running shoe with a large toe box?